It is important to preserve such history not just to give a sense of the changing focus of CALL over time, but also to ensure that researchers do not overlook earlier issues and developments and waste time reinventing the wheel. The use of computers in language learning is not something new, as we all know. It began with large mainframe computers in some American universities in the 1960s. The most famous system of those times was PLATO (Programmed Logic/Learning for Automated Teaching), which was a pioneering platform developed by the University of Illinois working with a business partner (Control Data Corporation); its programming language was not only designed for the purpose of teaching languages and although it was finally turned off in the 1990s, the name is still used today. However, it was in the 1980s, with the appearance of micro or personal computers, when the use of computers for learning purposes started to spread. The evolution of its pedagogical possibilities has been related to technological change. The very few options of computers such as the Timex-Sinclair or the first Commodore cannot be compared with multimedia computers with CD-ROMs (Compact Disk Read-Only Memory), which have been replaced at present by larger volume media such as DVDs (Digital Videodiscs). Hundreds of new CALL programs were published in the 1990s, but it was the arrival of Internet connections what changed many things. In the last years broadband penetration has been growing quickly; however, we shouldn't forget that in many countries the vast majority of people simply don't have the computers and high speed net connections needed. New web social tools are the last technological evolution which have given computers greater communicative power (and learning a language has a lot to do with learning to communicate). A - Objective description of events and projects. Examples of this first type are Ahmad, K. et al. (1985) [Computers, Language Learning and Language Teaching. CUP] and Levy (1997) [the reference is in a previous post]. B - Interpretative description of different phases. Here you can read (and sometimes listen) what English teachers from around the world (from Brazil to Korea) have written in their ESL or EFL blogs. This superblog was created about a month ago and since then several changes have been made in the ten blogs that SuprGlu allows to add. I have tried to include blogs which are related to CALL and English teaching or addressed to language teachers who want to read about useful ideas and resources and are updated at least once a month; the posts are usually about research and professional topics and experience. I hope this ESL Superblog can be useful. There are other journals from professional associations such as EUROCALL, TESOL, CALICO, IATEFL, IALLT, APACALL, but their publications are not free or you have to be a member to have access to them. 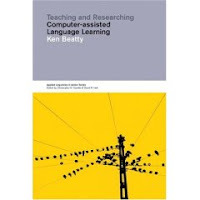 BEATTY, K. (2003), Teaching and Researching Computer-Assisted Language Learning, Pearson Education, Longman. BUTLER-PASCOE, M.E. & WIBURG, K.M. (2002), Technology and Teaching English Language Learners, Allyn & Bacon. CHAPELLE, C.A. (ed.) (2003), English Language Learning and Technology: Lectures on Applied Linguistics in the Age of ICT (Language Learning and Teaching, 7), John Benjamins Publishing Co.
FEYTEN, C.M. et al (2001), Teaching ESL/EFL with the Internet: Catching the Wave, Prentice Hall. JEONG-BAE, S. (ed.) (2004), Computer-Assisted Language Learning: Concepts, Contexts and Practices, APACALL. LEVY, M. (1997), Computer-Assisted Language Learning: Contexts and Conceptualization, OUP. SMITH, D. & BABER, E. (eds.) (2005), Teaching English with Information Technology, Modern English Publishing Ltd.
SPERLING, D. (1998), Dave Sperling's Internet Guide, Prentice Hall. SPERLING, D. (1999), Dave Sperling's Internet Activity Book, Prentice Hall. SZENDEFFY, J. de (2005), A Practical Guide to Using Computers in Language Teaching, University of Michigan Press, Ann Arbor. SWAFFAR, J.K. (ed.) et al (1998), Language Learning Online: Theory and Practice in the ESL and L2 Computer Classroom, Labyrinth Publications. TEELER, D. & GRAY, P. (2000), How to Use the Internet in English Language Teaching, Longman. WARSCHAUER, M. (ed.) et al (2000), Network-based language teaching: Concepts and Practice, CUP. WINDEATT, S., HARDISTY, D. & EASTMENT, D. (2000), The Internet, OUP. ZACHARIA, G. & ZAPHIRIS, P. (eds.) (2006), User-Centered Computer Aided Language Learning, Idea Group Publishing. All these books can be found at Amazon. To make the list shorter, I would say that books dated before 2003 need some updating to include new generation web tools (podcasting, blogging, video sharing, wiki collaboration, ...). Beatty (2003) is a good book on research topics on CALL. Numbers 3 and 6 are collections of articles presented at professional associations conventions. Szendeffy (2005) is an introductory book for teachers who want to start to use computers to teach languages. Although it was published last year, it doesn’t mention new web tools. I haven’t read Smith & Baber (2005) and Zacharia & Zaphiris (2006). They haven’t arrived from Amazon yet. I hope Santa Claus or the Magic Kings (January, 6th) bring them to me. I promise to review them. The CALL Interest Section of TESOL offers the opportunity to participate in the Electronic Village Online (EVO) 2007. The sessions are free and open to all interested parties. You do not need to be a TESOL member to participate in this six-week, wholly online session of the EVO, Jan 15 -Feb 25, 2007. Registration is from January 1 to 14.